BAM | Get Up, Stand Up! 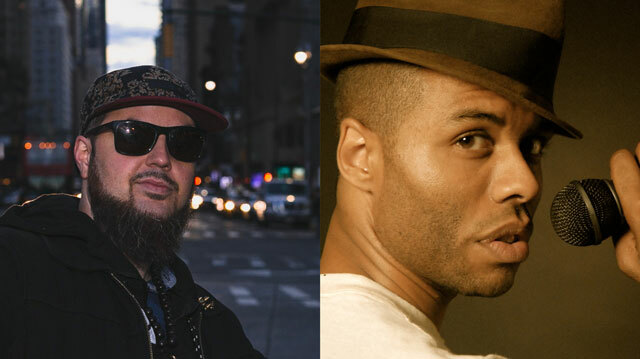 Voices will rise in this family-friendly concert celebrating the power of spoken word, featuring New York-based hip-hop trio The Mighty Third Rail and Brooklyn-based MC Mikal Amin, alongside local performers and student poets. Get Up, Stand Up! expands upon the tradition of BAM’s annual Word. Sound. Power. showcase to bring the same love for hip-hop and poetry to a younger audience. 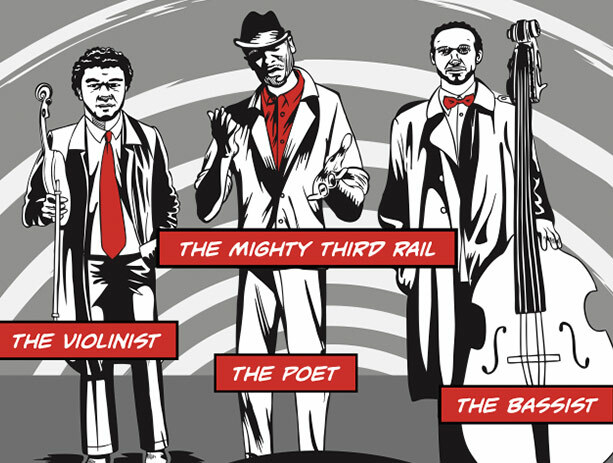 The Mighty Third Rail mixes elements of hip-hop poetry, beat-boxing, violin, and upright bass. 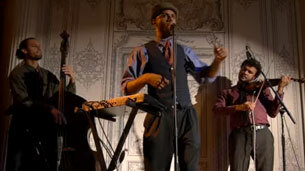 Featuring Darian Dauchan on vocals, Ian Baggette on bass, and Curtis Stewart on violin, this bold collective has performed at poetry cafes, colleges, and concert halls, including the legendary Blue Note, the Apollo Theater, and Lincoln Center. Aspiring young poets and emcees learn to create a range of percussive beats and synthesizer sounds using only their voice in this immersive beatboxing workshop. Some of the best hip-hop MCs and poets from Brooklyn and beyond gather once again for this electrifying showcase hosted by beloved MC Baba Israel. BAM’s Ticket Assistance Program (TAP) provides free tickets to families who are enrolled in the USDA’s program for free or reduced price school meals.